A native of Toronto, Offishall began his career in the city’s mid-1990s underground hip hop scene, as a member of The Circle. [ He released several independent 12″ singles, a debut album (Eye & I), and an EP (Husslin’), before signing with major label MCA Records in 2000. The following year, Offishall released his second album, Quest for Fire: Firestarter, Vol. 1, spawning the Billboard hit “BaKardi Slang”, which popularized Toronto’s nickname “T-dot”,and the minor hit “Ol’ Time Killin'”; both singles became his signature songs. After failing to release the Firestarter Vol. 2 album in 2003, on MCA, and later Geffen Records (which absorbed MCA), Offishall briefly returned to the underground scene, releasing several more independent 12″ singles. In 2005, Offishall’s third album, Fire and Glory, was released in Canada. That year, he collaborated with R&B singer Akon for the first time, starting a musical partnership that lasted until 2010. In 2007, he signed with Akon’s Kon Live Distribution label, through Geffen, and released his fourth album, Not 4 Sale, the following year. The first single, “Dangerous”, became a top five hit on the Billboard Hot 100, and was certified triple platinum in Canada. 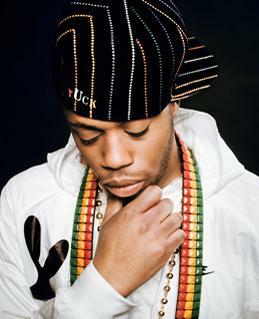 Offishall released two gold-certified singles, “Numba 1 (Tide Is High)” and “Body Bounce”, before leaving Kon Live in late 2010. Since then, his latest singles have been released on independent label Black Stone Colleagues Inc. In 2012, Offishall released Allow Me to Re-Introduce Myself, a collaborative mixtape with producer Nottz. In 2013, Offishall became the Creative Executive Director of Universal Music Canada’s A&R team. 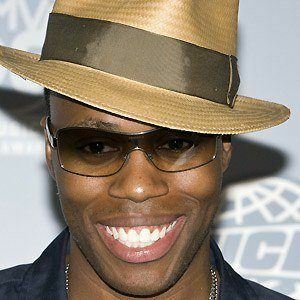 This entry was posted in Entertainment+ and tagged Kardinal Offishall - BaKardi Slang, Kardinal Offishall - Dangerous ft. Akon, Kardinal Offishall - Numba 1 (Tide Is High) ft. Keri Hilson, Kardinal Offishall - Set It Off ft. The Clipse, Kardinal Offishall - The Anthem. Bookmark the permalink. Wooooooooow!!!!!!!!!! !nice collabo with keri hilson. He is by far etter than drake. Everybody LIGHT IT UP amazing song luv it﻿.